Suddenly there were no adults, no answers. What would you do? In the blink of an eye, the world changes. The adults vanish without a trace, and those left must do all they can to survive. But everyone’s idea of survival is different. Some look after themselves, some look after others, and some will do anything for power. 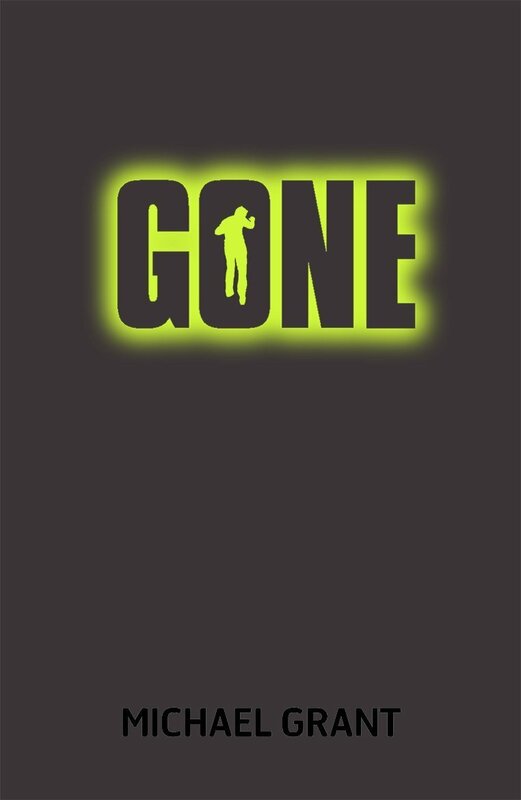 Gone is the first in a six book series by Michael Grant, the last book of which has recently been released. I have to say the fact there are six books put me off a little bit, especially when I started reading the book. My problem was how could the plot be sustained for six whole books? So far I’ve only read the first, though I have the second waiting on my bookshelf, so this remains to be seen. The book mainly follows the characters of Sam, Astrid and Quinn as they try to come to terms with the fact there are no longer any adults. There are other important characters as well and they inevitably all come together. There are a lot of characters in this book but Grant manages to give them each a personality, a history and a part in the story. None of the characters seem pointless, they all have a purpose. The plot is a really interesting one and really keeps the reader gripped. The idea of all the adults disappearing, leaving only children under the age of fifteen, is a great plot point. It reminds me of ‘Lord of the Flies’ a little. There is no explanation for why all the adults have disappeared and makes you desperate to find out. There are a good variety of conflicts between a number of characters of different natures which also drive the story. There was one thing that really bugged me about the book, though. The names – some of them were so odd. I think some were supposed to be nicknames but even so. Orc? Cookie? I just found it weird. I did feel it went on for a bit too long. Like I mentioned at the beginning of the review I’m a little concerned that Grant managed to drag it out to six books. I’m reluctant to judge before I’ve read them all but I’m not sure if I’m going to manage to get that far. As much as I enjoyed reading the first book and got through it pretty quickly because I could not put it down at some points I’m just not sure where Grant is going to go with it in the next five books. In my opinion there isn’t enough substance to the plot to make it last that many books. The only thing that would make me read to the end would be to find out how it all happened and how they get out of the FAYZ. I would definitely recommend reading the book though as I very much enjoyed it.